The Department of Development works with our investors, alumni, and partners by collecting and maintaining accurate information, creating engagement activities to build meaningful connections, and raising awareness of Florida Poly in the state and beyond. 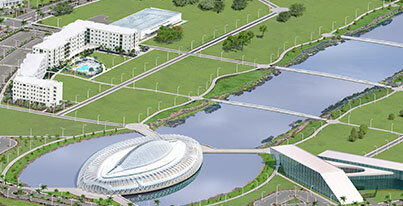 We also support the activities of the Florida Polytechnic University Foundation Inc., the 501(c)(3) Direct Support Organization of the University. The Department of University Relations works to build brand awareness and affinity among internal and external constituents, create strategic relationships that promote advocacy and support for Florida Poly, and implements communications strategies. The Florida Poly Foundation partners with the university to engage the community, inspire investment and steward resources to build a world-class university.